There was an exhibition in Beijing recently that caught my eye and has provoked much thought. A small, but talented team of architects and artists known as the Architecture Drawing Studio put together a couple amazing drawings to illustrate the vibrant urban energy happening in Beijing. The drawings are uniquely rendered as isometric projections, each enthusiastically and intricately depicting the detailed and spontaneous daily events happening at a specific moment in a Beijing day. The modern illustrations seem to reference the perspective and rich colors of the traditional Chinese painting, Along the River During the Qingming Festival. You could easily navigate through the drawings, reading every interesting detail, all the while observing the overall relationship and interaction between different sections. Isometric, is the key. When I was studying civil engineering back in college, we used to draw isometric diagrams regularly. We learned this skill to depict accurate dimensions and to convey interlocking structural details. 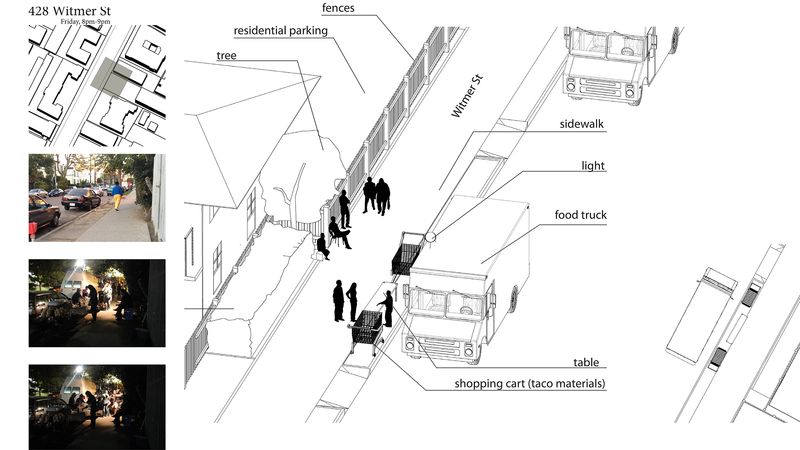 Different from perspective drawing or plan drawing, isometric illustrations are best when individual parts need to be clearly visible and delineated with depth, something real world perspective hides away in its accuracy. Isometric diagrams in architecture, landscape, and urban studies are a wonderful tool that help reveal spatial relationships without adding too much decorative details. 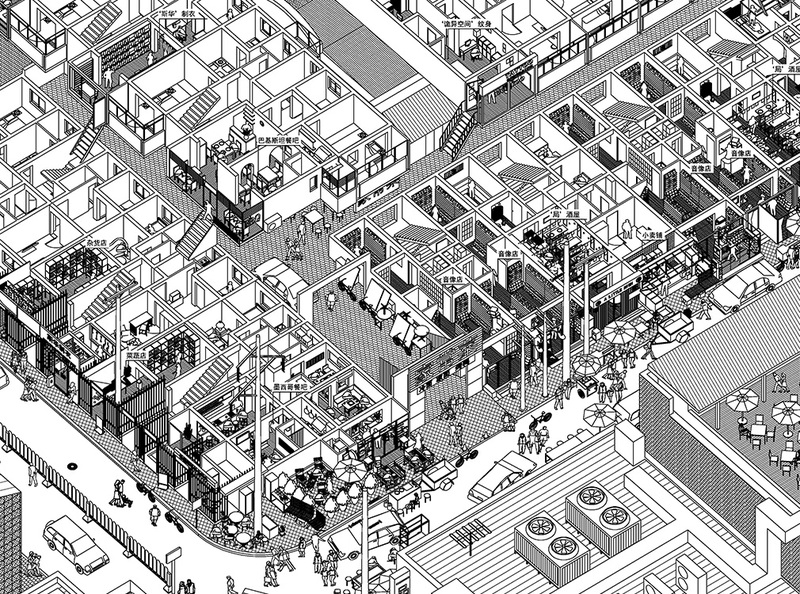 Simply put, isometric drawings are informative, yet pleasantly abstract. Isometric drawings once played prominent in both the worlds of architecture and art, most notably casting its shadow across the De Stijl (“The Style”) movement. The two famous 1920’s isometric architecture art drawings Contra-construction / Maison Particulière and Contra-construction / Maison d’Artiste by Theo van Doesburg and Cornelis van Eesteren illustrate two different architecture design and construction forms. The minimal use of color combined with Cartesian logic make the drawing as informative as an architectural diagram/rendering and as abstract as an art painting. The visually floating faces, invisible interior detail, and clean color palette ended up influencing many architects, including Le Corbusier. The underlying geometrical nature of isometric projection makes it easily translatable to the digital world. It has been widely used in the flat design trend. Many games utilize this method in model making (actually axonometric, to be precise). Monument Valley is an example of this gaming environment perspective, notable for its stylish graphic execution and harmonious color palette. More and more games are utilizing the isometric model because of the popularity of titles like Monument Valley – a perspective which works well communicating simple gameplay, quick interactions between player and environment, and offers an aesthetic presentation. Popular architecture blog, Divisare hosts a collection of renderings called, Isometric. Desire of Abstraction. The clean linework makes all the drawings communicate quiet and solidity, each section functioning like a gear in a machine. Yet, each of the drawings still read like an intricate art piece. This is the magic of isometric drawing.